For those of you who know me, you know gray is one of my favorite colors to wear, and yes, I consider it a color. 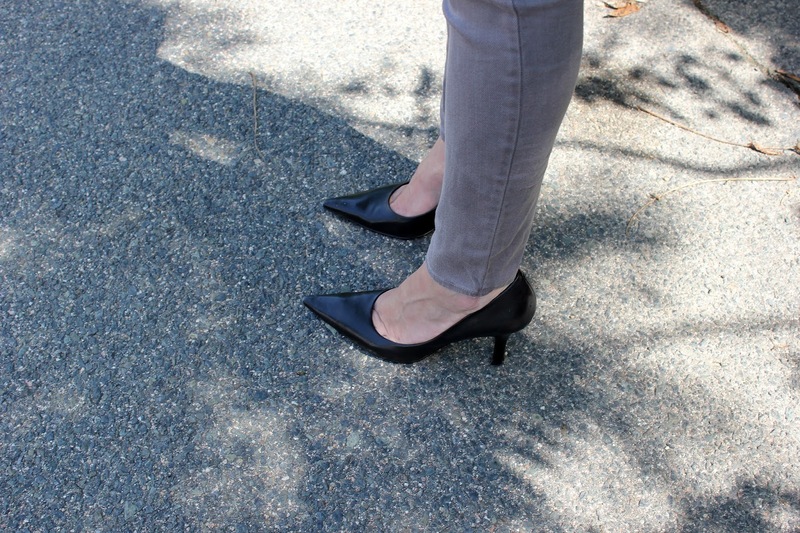 When I first laid eyes on these gray J Brand jeans I knew I had to have them right away. They are a lighter gray with a hint of taupe, making them perfect for the summer. I paired them with a white silk blouse and my Elizabeth and James linen blazer, which also has hues of gray and taupe, giving my outfit a conservative look. And yes, I will be wearing these jeans this fall! I added this beaded necklace to give my outfit more definition since I was wearing monotone colors.